Leonardo has a beautiful and easy-to-use interface that will scale to any screen and works great for both left- and right-handed people. Leonardo starts in less than half a second. It saves your file in a blink and makes it possible to paint with a large brush in really high resolution without lag. Leonardo makes it really easy to draw various lines and shapes, including circles in perspective. It also help you with stabilization and inking smooth outlines. Leonardo's infinite canvas can be thought of as a giant sketchbook, instead of turning the page just scroll in any direction and keep sketching. Leonardo has a powerful brush engine that allows you to create beautiful brush strokes with minimum latency. 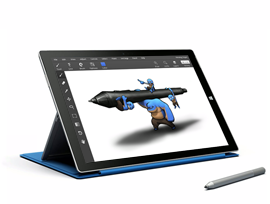 Leonardo works great with all PC-tablets including Microsoft Surface Pro, Surface Go, Surface Book, Lenovo ThinkPad Yoga, Lenovo Miix, Huion Kamvas, Ugee, XP-Pen, Wacom Intous and Wacom Cintiq. 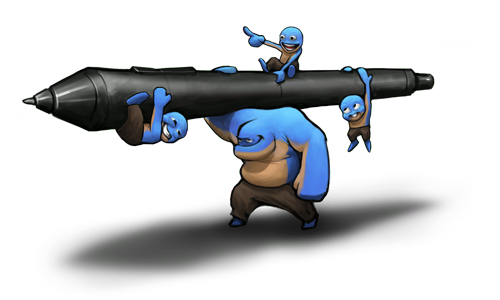 It support pen pressure, multi-touch and the UI scale to any screen. 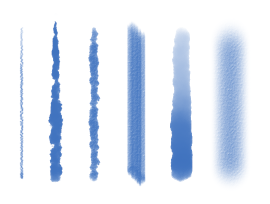 Custom brushes, custom shortcuts, distort tool and layer groups are already in the making. But don't wait, even if you download Leonardo today you will still get all these features automatically as soon as they are ready.